I'm popping in real quick to let you know that Simon Says Stamp is having an awesome sale! If you can't wait to get started on on your Christmas cards this one is for you! 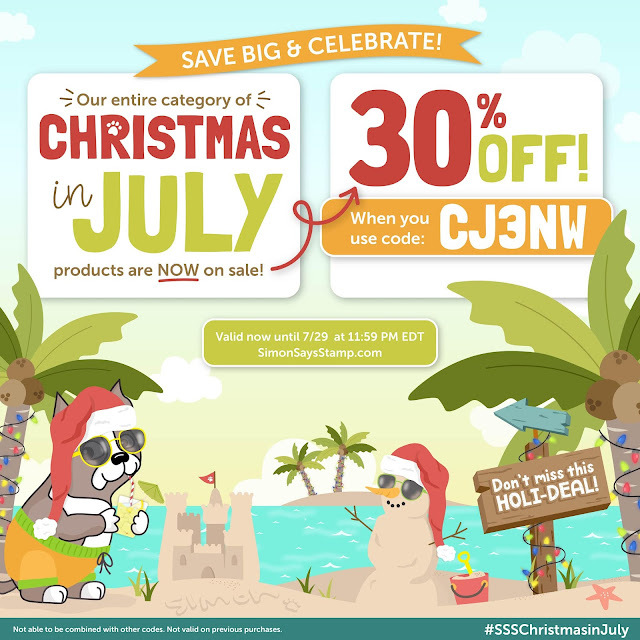 You can get 30% off select Christmas stamps and supplies by using code CJ3NW at checkout. See everything on sale here. I've made a few cards with some of the amazing products on sale and I've linked them below. This one was one of my favorite What Would Kelly Make? videos and features inlay die cutting with the adorable Joy to The World set. You can see the blog post and video for that here. I hope this puts you in the Christmas spirit! WOW Kelly, these are all so beautiful.